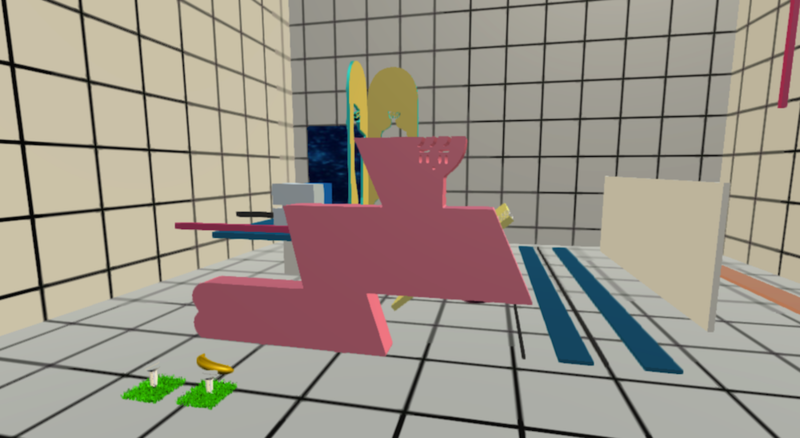 This is a ‘KAN-KAN-KAN’, a VR space created by Colliu, an artist and model. This work has been created from an idea of preserving a real-world installation art in VR space. It showed a new way to preserve a creative art, keeping ‘one-off’ thing forever by taking advantage of VR. In this interview, I asked about the design process of ‘KAN-KAN-KAN’ and what the future for VR will be. Artist and model. She has published her original artistic world in various ways such as drawing, painting, 3D artworks, which are mainly featured by human forms with distinctive eyes as a motif. She collborated with COACH while providing her artwork to the shop window of NEWoMan, book covers and etc. — What is the meaning of the title, ‘KAN-KAN-KAN’? Colliu: It means ‘Kan’ (‘boundary’) between 2D, 3D and VR. To create this work, ‘KAN-KAN-KAN’, I converted my past 2D illustration into 3D, and convert it back to 2D by photography as ‘filter’. Then, I reconstructed it in VR as a 3D space. I named it ‘KAN-KAN-KAN’ as it comes and goes over the boundaries between three dimensions. I adopted an ‘English’ spelling, ‘KAN-KAN-KAN’ to be called correctly as there are other pronunciations when ‘KAN’ is written in Japanese. — What made you create this work? 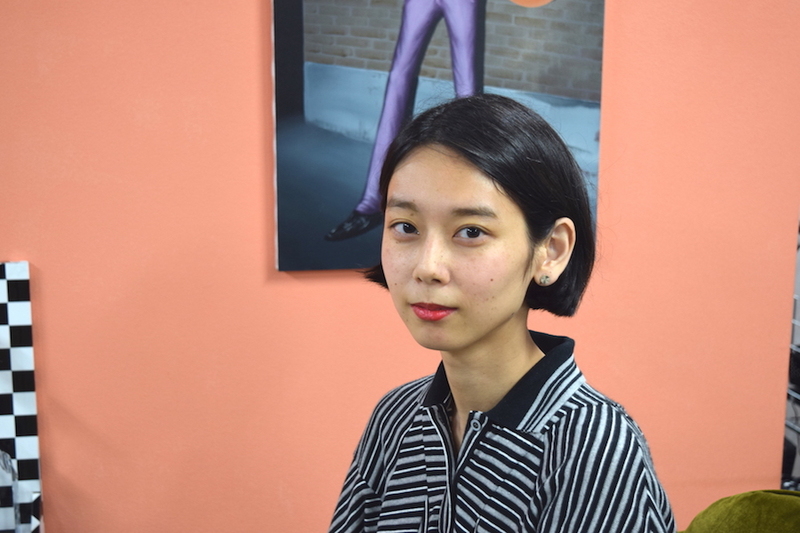 Colliu: When I was asked to make a VR space, I found it difficult to create what only VR could do because I was not very good at digital things. Since it was the first time to make a VR work, I thought it’s better to reproduce a real-world space in a simple way rather than doing a totally new thing for viewers. Instead of doing ‘things only in the digital world’, I created a space with the idea of translating a real-world thing into a digital one. — Did you have any difficulties in your design work? Colliu: The first one was in 3D modelling work. It’s challenging to model a real-world object in 3D as I was new for 3D modelling. At that time, I luckily saw Arai-san, my friend and creator. When I mentioned the 3D modelling work, he told me that it was not so difficult for him. Then, I asked him to create the 3D models. 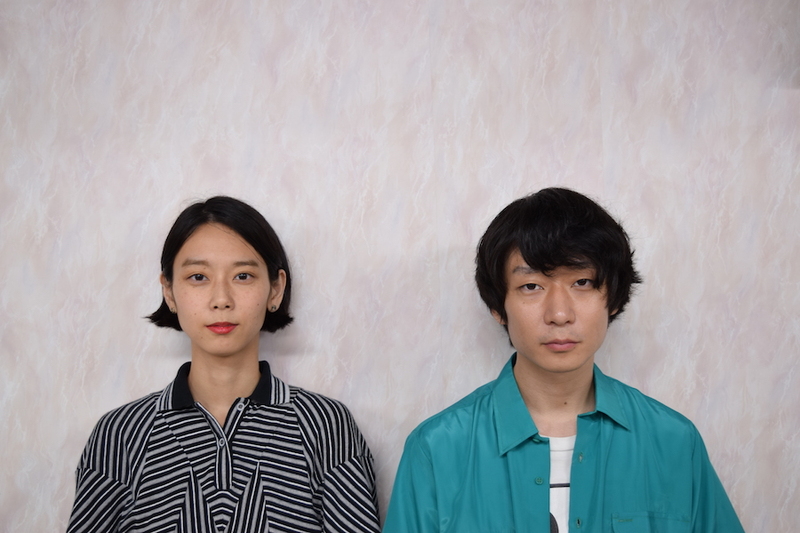 Arai: When I was asked to make the VR by Colliu for the first time, I thought it could be challenging. But, after all, I successfully uploaded my models to STYLY without any difficulties because I already had some experiences using 3D for video and STYLY was easy to use. — What was ‘KAN-KAN-KAN’ modelled on? 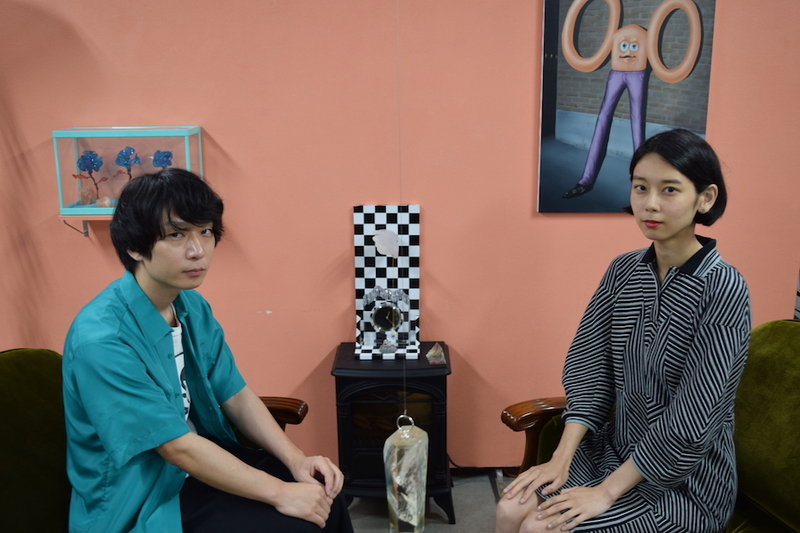 Colliu: Originally, I created a work, ‘KAN-KAN‘, which was the combination of a 2D photo and a 3D installation art. This time, I modelled the VR space on the photo set that is actually used for the photo shooting. The objects in the photo set were made by extruding planer shapes. A photo carries the information just from one fixed view. However, I thought VR could be interesting as an installation art and I wanted to construct an exhibition space so I decided to make ‘KAN-KAN-KAN’ into VR. I thought it’s a waste to use the photo set just for photo-shooting and bin it even if it’s built for photo works. — How was the design process of this work? 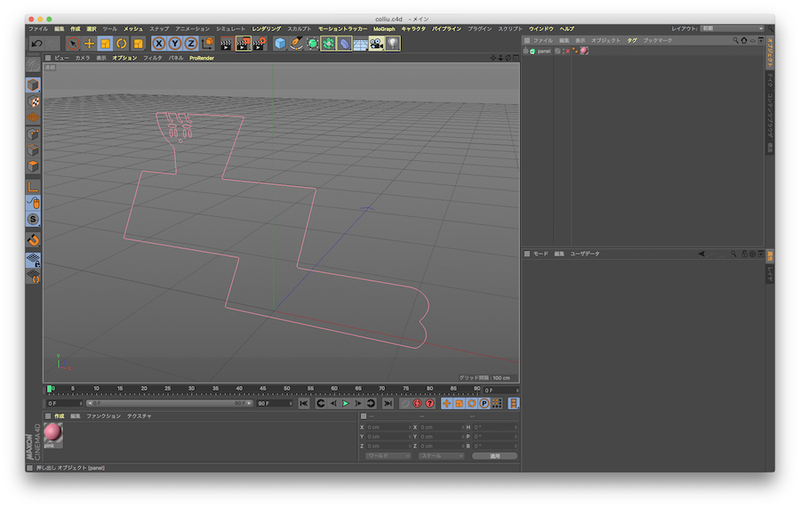 Arai: In CINEMA 4D, I created the objects by extruding the outlines of Illustrator’s path data provided by Colliu. It ensures that the details intended by the creator are kept. After arranging the extruded 3D models in CINEMA 4D, I uploaded them to STYLY. By the way, I completed all 3D modelling works in CINEMA 4D including Material settings. Colliu: As I intended to make the VR space based on the actual photo set built for photo shooting, I had a very clear idea where the objects should be placed. However, at that time, STYLY didn’t allow me to enter the coordinates directly to place the object. So I asked Arai-san to provide the 3D data with the objects placed in the space. 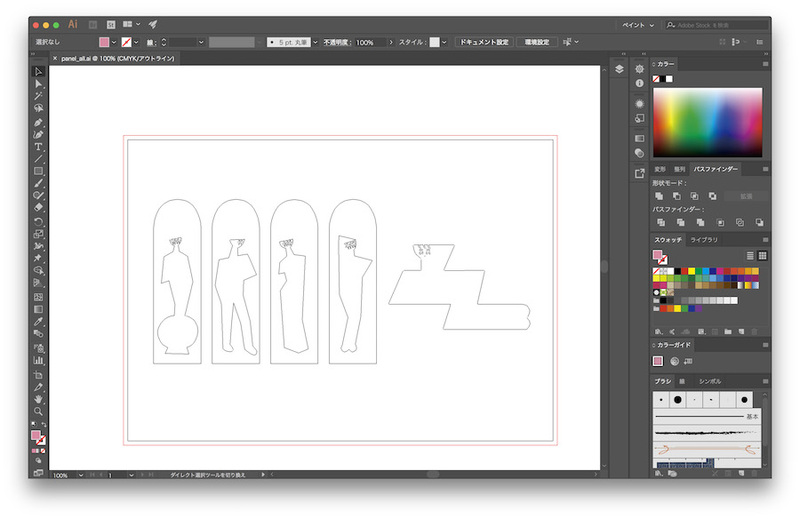 Arai : Since there were the outlines of the objects already, it’s not time-consuming task to make them 3D. And, as I had the data of a flyer, I adjusted the camera view so that I can see the same image as the one on the flyer. Then, I arranged the objects while checking from that view. —How was STYLY in your design work? Colliu: Given the operability at that time, I felt the user interface was difficult for those who didn’t use 3D on a regular basis. Arai: I felt STYLY manual-operation oriented. I thought it intentionally didn’t support direct-coordinate input in early days to make users to play with STYLY more intuitively. So I think it also attracts people other than creators. Colliu: It would be nice if it has the functions to allow the user to edit on smartphone and to record and export the movie taken in VR space. If you can record VR space as a brief movie from your preferred angle, you would be able to show it to other people quickly and share it via SNS easily. I just wonder if STYLY’s functionality required would depend on the target customer, engineer or others. Arai: Since STYLY works on Web browser, there will be a lot of potential users if you can use it on smartphone like other smartphone application. Colliu: As artists also use LCD tablet, it would be nice to use STYLY on a mobile device after all. For the people in the generation who don’t use PC, it’s better to complete the whole work just on tablet or smartphone. Preserve real-world things by converting it into VR. In the world where people tend to look at new things only, such a precious idea could bring a future to VR world, couldn’t it? From reality to VR. From 3D to 2D. The expression doesn’t flow only in one direction. By flowing in both directions, the expression can evolve. It’s my impression of the interview.